We feel proud to introduce ourselves as one of the prominent Manufacturers and AFFS machines exporters from India. We cater a large gamut of automatic form fill seal machine that mainly includes automatic horizontal form fill seal machine. 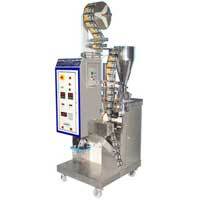 We manufacture our AFFS machines from pure and superior quality raw material. We provide compact and robust automatic form fill seal machine. It is very easy to operate and handled them without any kind of effort. Our automatic horizontal form fill seal machine can continuously work for hours and has the capability to change over quickly from one pouch to another. 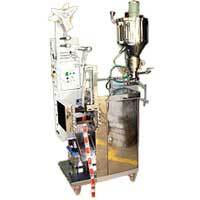 Our automatic form fill seal machine is in high demand due to its precise pouch sealing. Machine mounted on castor wheels for easy movement.